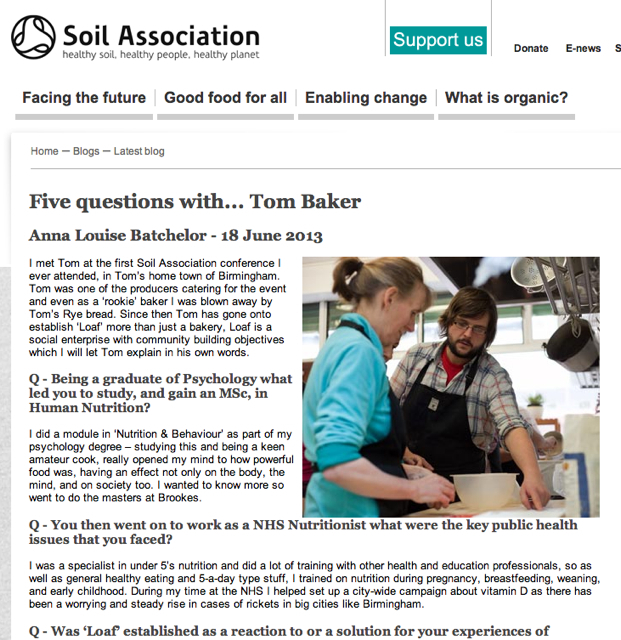 This month Tom is featured on the Soil Association website, after a great interview with Anna Louise Batchelor (aka @porridgelady on twitter) an environmental scientist and member of Reading’s True Food Co-op. Reading born and bread (sorry, a genuine typo – bred not bread! ), Tom loves the food co-op and has recently advised the food co-op on setting up their own bakery. The Soil Association are the UK’s leading membership charity campaigning for healthy, humane and sustainable food, farming and land use.